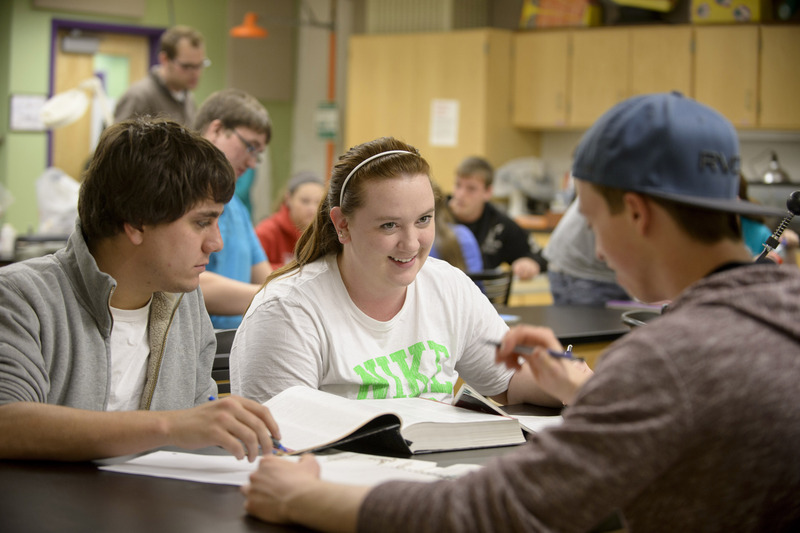 A Bachelor of Science Degree in Integrated Science Studies provides students with a well-rounded and rigorous background across the core scientific disciplines of biology, geology, chemistry, and physics while conveying advanced information that spans the respective content areas. The program encourages students to think about the interdisciplinarity of science by emphasizing the fundamental tenets of each discipline, how they interact, how these interactions can be applied towards our understanding of the natural world, and the overall nature of science. Students in the program will gain an in depth understanding of established scientific hypotheses, theories, and laws while being encouraged to participate in the process themselves as they generate and test new hypotheses through participation in innovative research. Students with a B.S. in Integrated Science Studies will be positioned to pursue a variety of career opportunities that span disciplines and by nature require backgrounds in multiple fields. Students may pursue careers in science advocacy, informal science education (museums, science institutions, etc. ), scientific sales (biotechnology, pharmaceutical, etc. ), technical and science writing, science policy and technology law, material science, climatology, bioinformatics, laboratory analysis, or continuing on to advanced graduate programs in the sciences (biology, geology, ecosystem management, environmental science, law, etc.). Note: some graduate programs in the sciences may require certain additional coursework (e.g. programs in health sciences). Additionally, some careers in education such as teaching science at the high school or college level may also require certain qualifying coursework and graduate education. For more information, please visit the Wright State University Office of Career Services.